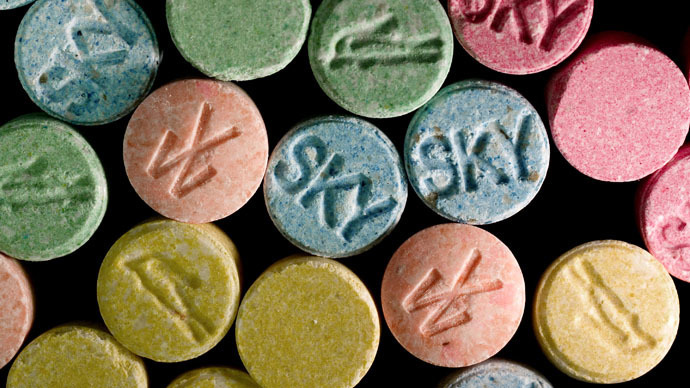 Four men have died after taking ‘superman’ ecstasy tablets, believed to have been made with a high concentration of the dangerous substance PMMA. Critics, however, blame the deaths on the government’s strict drugs policy. Adrian Lubecki, 19, was charged on Monday with possession of controlled substances with intent to supply a class A drug. Another man, aged 26, has been arrested on suspicion of being involved in the supply of drugs. The arrests follow the deaths of two young men in Ipswich on Christmas Eve and on New Year's Day. A third man died in Rendlesham, Suffolk. West Mercia police also believe a 27-year-old man, said to be Daniel Bagnall, found dead in Telford on New Year’s Day, may also have taken the substance. Suffolk Police said 400 ecstasy pills were found in a public place in the city. They are urging people who have taken illegal drugs or know someone who has to seek medical attention. In the wake of the recent deaths, Dr David Nutt, sacked as the government’s senior drug adviser in 2009 for opposing stricter laws governing cannabis use, has again blamed the government’s stringent drugs policy. “The current policy had targeted the production and sale of MDMA only to see it substituted by a more toxic substance,” Nutt told The Guardian. He compared this issue to the increase in demand for deadly substances after alcohol was prohibited in the US during the 1920s, and to the rise in the production and injecting of heroin after smoking opium was banned. By cutting the supply of MDMA, the government has inadvertently allowed more dangerous chemicals to enter the drugs market, he argues. “The emergence of the more toxic PMA following the so-called ‘success’ in reducing the MDMA production is one of the many examples of how prohibition of one drug leads to great harm from an alternative that is developed to overcome the block,” he said. According to the Office of National Statistics’ latest release, there were 2,995 drug related deaths in 2013 (involving both legal and illegal drugs). This is up from 2012, when there were 2,597 deaths from drugs. “These deaths are an example of a worrying upward trend in drug related deaths. We need to take control back, the first step being for the Home Office to ensure there are no barriers to accessible drug testing of illicit substances and to assist in setting up such facilities, where people could [sic] find out what is in their drugs and stay safe,” she added. Also speaking to RT, Tom Lloyd, an adviser to the International Drug Policy Consortium, agrees prohibition is to blame, as it creates a highly profitable illicit market where drugs are more dangerous because of their lax production.